We invite proposals for field trips for the 2018 ESA Annual Meeting. Field trips allow participants to explore ecological attractions local to the meeting city and region. Trips may last part of a day, an entire day, or two days (with an overnight stay included). Most trips require bus transportation; however, we welcome walking and biking tours close to the convention center. Use of public transportation is also encouraged, if applicable. There is a vast array of things to experience within driving distance of Portland, and we hope attendees take the chance to see what the area has to offer. Trips that last all or most of a day are usually scheduled during the weekend prior to the beginning of the formal scientific program. Shorter trips may take place over the weekend or during the week. Field trips may be linked with other conference events – just let us know which events should be linked. Click here to see an example of a field trip from a recent conference. To see other examples, please browse the online program from the 2017 Annual Meeting in Portland. Equipment and attire. How should attendees prepare for this trip? Directions to and from the field trip site. These will be given to the bus driver if applicable. Is this a one day or overnight trip? A mobile number for the lead organizer in case we need to contact you during the trip. Food and beverage requested for your field trip. Note: box lunch, money to buy lunch, etc. If applicable, outside funding to cover any fees. Include contact and amount to be contributed. Is the field trip intended to be linked with another session? If so, which one? Are there any reservations (hotel stay, guided tour) that need to be made in advance? If so, who should be contacted? The more specific you can be, the better. This section is intended to guide your field trip planning. It includes some issues to consider in the context of the trip you hope to offer. We offer guidance so that the time and energy you’ve invested in planning and preparation results in a successful trip. All field trip information should be finalized by mid-March so that trip descriptions and costs can be included when registration for the meeting begins. If you have questions during the planning process, please contact Christi Nam (christi@esa.org). Trip organizers are expected to accompany the entire trip to provide information during the trip and handle any unexpected developments. No financial or contractual commitments may be made without approval of Christi Nam. The trip title and overview should be written with particular attention to attracting attendees. A concise title and compelling overview can make a big difference. Trips that do not meet the minimum registration number (10 registrants, not counting the trip organizer and co-organizers) will be cancelled. 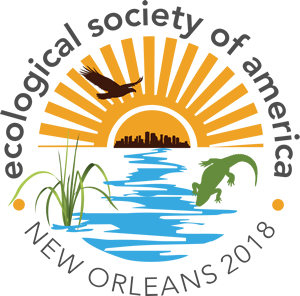 8:00 AM – Leave Ernest N. Morial Convention Center for Audubon Zoo, (6500 Magazine St, New Orleans, LA 70118) to arrive by 8:30 AM. 4:00 PM – Leave Audubon Zoo for Ernest N. Morial Convention Center (900 Convention Center Blvd, New Orleans, LA 70130) to arrive by 4:30 PM. This is a very simple example with only one destination included. The itinerary must state a specific destination(s) for the trip and a detailed itinerary which provides a list of addresses and indicates how much time will be spent in each place. This means that before submitting the proposal, the trip organizer needs to work out an overall plan for the trip that follows a realistic schedule. Ultimately the itinerary you provide will be used by the bus driver – exactly as written. It can be revised after the proposal stage but it cannot be revised last minute (after March). If the trip doesn’t meet a minimum of 10 registrants (not counting organizers and co-organizers) then it will be cancelled. Transportation for all field trips will be arranged by ESA. Typically we arrange buses for most trips. Please let us know if there are any locations on your itinerary that would be difficult to reach by bus. Your trip description should provide guidelines about the age and physical capabilities of the participants. Children under the age of 15 are not permitted on field trips. Each participant will need to sign a liability waiver release form before boarding the bus on the day of the trip. What is the schedule for your trip? You should determine when your trip will occur. In addition to your own schedule and time constraints posed by the trip itself, here are some things to consider. All participants will be picked up and dropped off at the Convention Center at specific times. You should plan your trip to occur within the planned time and you should strive to stick to your schedule to avoid problems for people with other activities scheduled after the trip. The conference begins at 5 pm on Sunday, August 5 with the Opening Plenary and ends at noon on Friday, August 10. Field trips can be scheduled for the preceding weekend (August 4-5) or during the week. The timing of your trip can strongly influence the number of participants. Full day trips can run on either Saturday or Sunday. We typically advise against planning a full day trip during the week unless there is a strong justification for doing so. Sunday trips are more popular than Saturday because attendees need arrive only one day earlier. But keep in mind that the 5:00 PM start of the meeting on Sunday evening may limit your planned activities. Overnight trips are allowed but with a note of caution: they are generally more difficult to fill unless the destination has very strong appeal. They require people to arrive earlier to the meeting and (usually) to arrange for additional lodging the night before the trip. Overnight trips should be scheduled to leave on Saturday and return by 5:00 PM on Sunday. Breakfast, box lunches, bottled water. Other costs such as boat rentals, bicycle rentals, etc. Include alcohol themed destinations or activities (pub crawls, wine tastings). We know these are fun, but they need to take place on your own outside of a field trip due to liability concerns. The scheduling requests of trip organizers are taken into consideration but are not guaranteed as the final scheduling. Since many trips request morning departures, the start times typically need to be staggered as a series of departures in the final scheduling. All trip organizers will be notified of acceptance decisions by mid-January. At that time, organizers will be provided with instructions to begin preparing the trip for the online program in the spring. In February, trip organizers will be informed of their trip’s scheduling. Finalized iformation for all accepted trips will be available in the online program when registration opens (typically in early April). After online registration closes (about a week before the meeting), a list of registrant emails will be provided to the trip organizer. As a courtesy, organizers should plan to remind all trip participants about important trip details, such as the departure day and time, attire and equipment needed, likely weather conditions, and any other important details to help attendees prepare. All field trip organizers will be notified of acceptance decisions by mid-January. At that time, organizers will be provided with instructions to begin preparing the session for the online program in the spring. In February, trip organizers will be informed of their trip’s scheduling. Finalized information for all accepted trips will be available in the online program when registration opens (typically in early April).